An Interview with Author Eliot Schrefer! Source: An Interview with Author Eliot Schrefer! Source: Why English and Science? Mrs. Allison George on Twitter: "@mwilsonsayres @realscientists It was the best! I try to use free class time to show my students different things when I can. So much fun!" Prospect of using GMOs for species conservation. Check out my newest post on Wild Delight, my blog focused on interdisciplinary work between science and English class. Happy Earth Day! What a great time to share some nature poetry with students, seeing as it is National Poetry Month, too. Below are a few of my favorite nature poems to share with students. This is a new favorite of mine because I’ve spent the last few months researching coyotes and red foxes. Most recently, I’ve been observing a litter of fox kits near my home and it’s my favorite part of every day. This poem captures a lot of my feelings as I watch the kits run and play with each other, ever vigilant and alert. Students could read this poem and then talk about the species they’ve noticed in their own neighborhoods. Below you will find a book review posted on my new blog, Wild Delight. Wild Delight is my new blog devoted to helping English teachers incorporate nature into their lessons and classrooms. 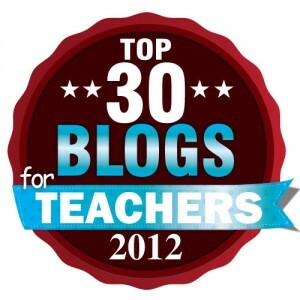 The blog will include lesson plan ideas, book reviews, author interviews, and much more. Be sure to subscribe! Cal on Twitter: "Using calculus to find the rate at which Lafayette raps. @Lin_Manuel @DaveedDiggs @leslieodomjr @HamiltonMusical https://t.co/ZX0fzWlTcE"
Elisa V. on Twitter: "@Lin_Manuel Louis sachar shoutout! The Wayside stories books are so clever and underrated!" Cosign. The GREATEST. Can we also discuss There’s A Boy In The Girl’s Bathroom? Holes? Stefanie Cole on Twitter: "Show Wiliam Carlos Williams' Breakfast without the title/first line & have them guess it! #poetrychat https://t.co/F8okl9OIG8"